Essentially a mixture of whatever’s in your fridge cooked on a hot plate, the main ingredients include shredded cabbage, egg and a flour/yam based batter. Depending on your vendor, you could get noodles, pork belly (which looks like rashers of bacon in the photo below), shrimp, octopus, cheese or pretty much anything else thrown in. 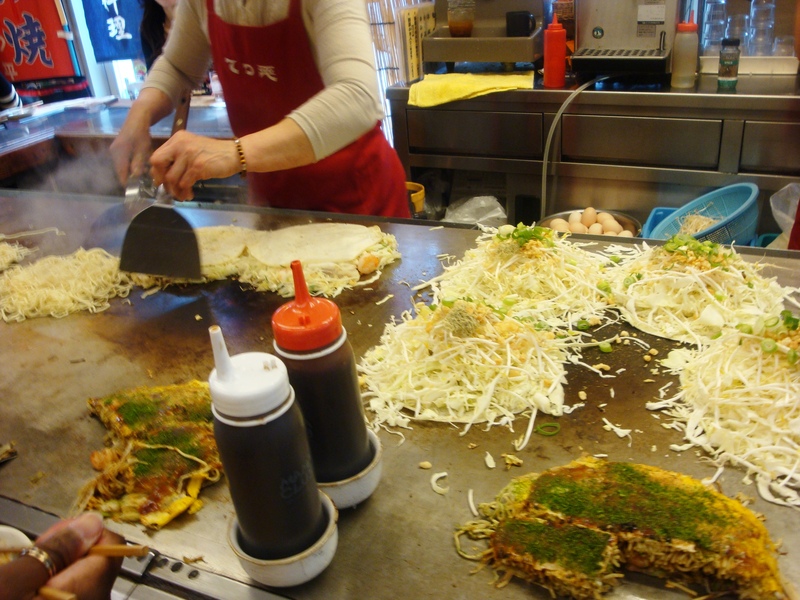 Osaka okonomiyaki are mixed up before cooking, whilst Hiroshima vendors will layer the ingredients as they cook. 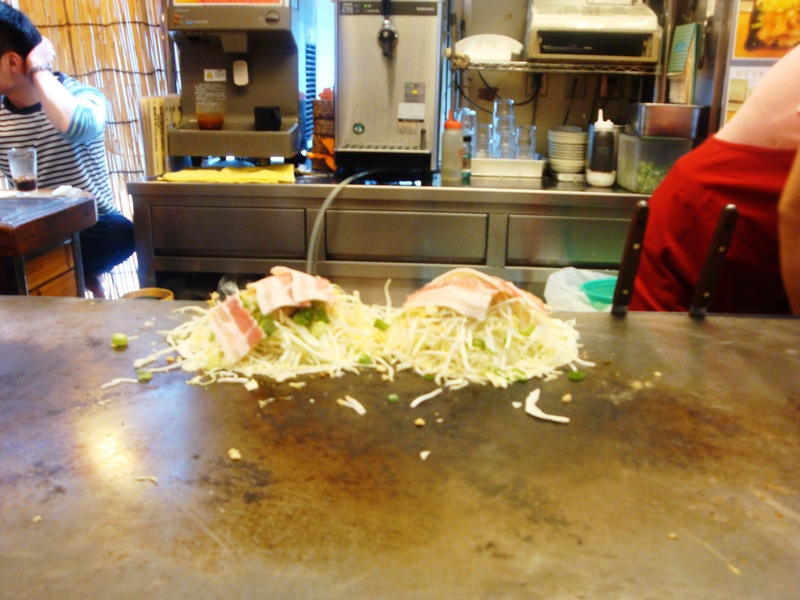 The finished product is slathered with your choice of condiment: there’s okonomiyaki sauce (like worcester sauce but sweeter), Japanese mayonnaise, seaweed flakes (aonori), shaved bonito fish, spring onion, pickled ginger, you name it. 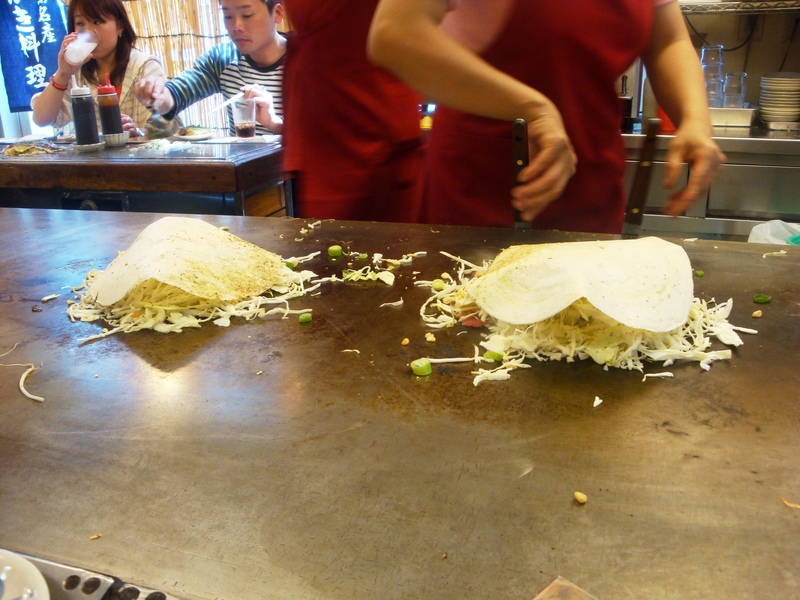 The best place to experience okonomiyaki is the Okonomimura or Okonomiyaki Building in Hiroshima, a four-storey building completely given over to individual okonomiyaki stalls, each with their own twist on this favourite food. Pop in and wander the corridors until you find a place that you like the look of. Most of the vendors speak little or no English, some have English menus and some don’t. 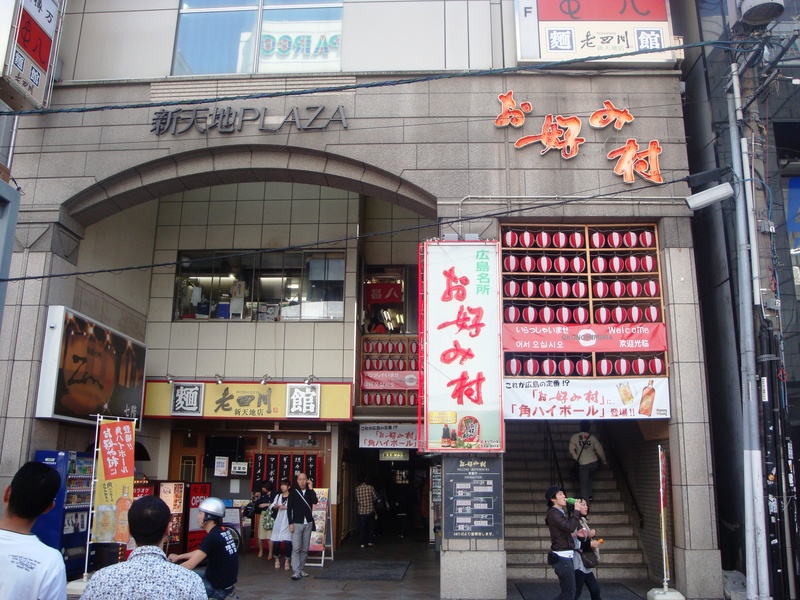 But it doesn’t matter, because Hiroshima people are some of the friendliest in the world, and they love food, so communication will just happen. Choose a spot at the bar and watch the cooks weave their magic. 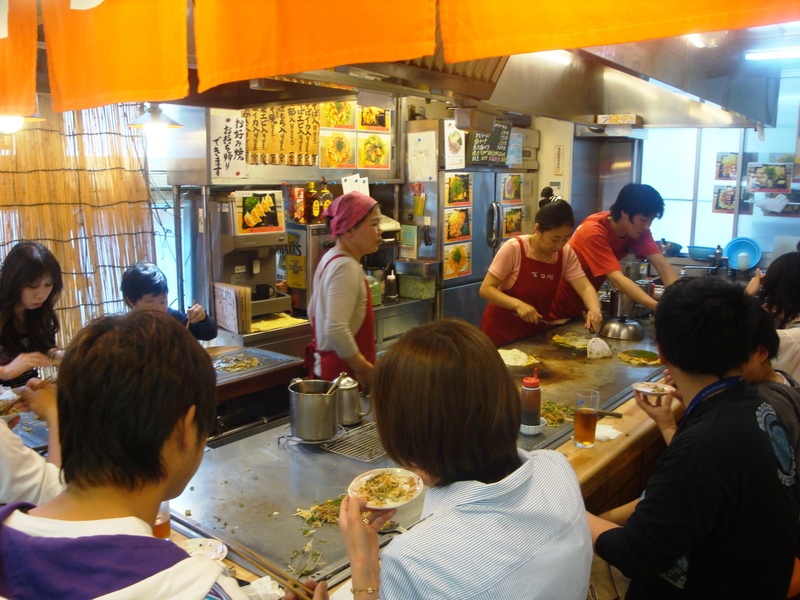 The best part is that your okonomiyaki is served from the hotplate, so each bite is as hot and as fresh as the first one!